The latest research from the Ukash Travel Money Prepaid MasterCard® card reveals that families could lose as much as €51.70 for every £500 they spend on buying euros for their holidays. Ukash is urging families to think ahead and organise their foreign currency so that they can get the best spend for their pound. Ukash researched the cost of spending £500 on euros at Gatwick airport on Sunday 6th July. At the Moneycorp bureaux de change this would get €569. But loading the same amount of sterling onto a Ukash Travel Money card on Friday 4th July would have given the traveller €620.70. 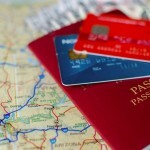 Clearly it makes complete sense to plan ahead – but Ukash research* has revealed that not all holidaymakers take this approach to their travel money. And, even more worrying, many holidaymakers resort to carrying cash with them which presents a considerable safety risk. According to the Ukash research, 36% of UK holidaymakers take between £501 and £1,000 in cash when they head abroad; 40% take the equivalent of between £100 and £500. So getting the best value for their pound is essential. But Ukash Chief Executive, David Hunter, also believes carrying this much cash around with them is a big risk. “With so much written about extra charges when using debit or credit cards abroad, I completely understand why so many holidaymakers opt to carry cash”, said David Hunter. “But it’s much better is to load cash onto a prepaid MasterCard card which can then be used just like a credit card in the thousands of outlets around the world that accept MasterCard. With the Ukash Travel Money card there are no charges for transactions and no charge for withdrawing cash from an ATM abroad. 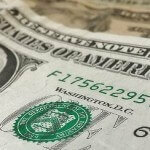 The new Ukash Travel Money card offers the lowest foreign exchange rate on the market. There are no charges for sign up, transactions or ATM withdrawals abroad, which means that it definitively offers the best way to make holiday money go further in Europe and the USA. 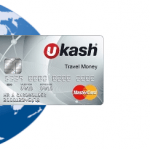 The Ukash Travel Money card can be ordered online in minutes and will be delivered in five to seven working days without the need for any credit checks. 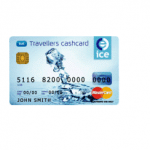 The card can be topped up online instantly using a debit card – even while travelling – and cardholders can check their balance and transactions and top up their card at any time online completely free of charge. “Leaving the arrangement of spending money to the last minute is the worst thing you can do if you want to get value for your pounds” added David Hunter. 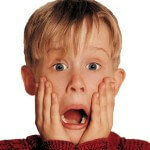 “And it means carrying cash around which can make you vulnerable to muggers and pickpockets. Yet 4% of British holidaymakers said they actually leave it until they get to the airport and 15% buy currency when they arrive at their destination. Either way it doesn’t make sense.